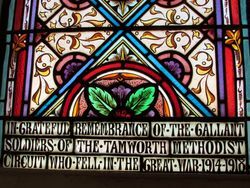 A stained glass window commemorate soldiers from the Tamworth Methodist Circuit who died in service or were killed in action during World War One. 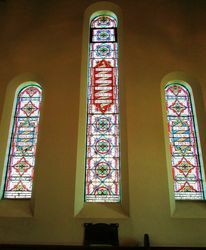 The window has two smaller windows on either side which were the gift of Mr. R. Pryor in memory of his sons who lost their lives in the conflict. 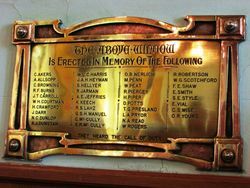 Two months ago the trustees of the Tamworth Methodist Church decided to perpetuate the memory of the gallant men who went out from the Tamworth Circuit to serve the cause of Empire and humanity in the great war now happily ended. 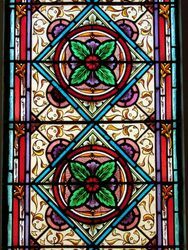 With that end in view arrangements were made for three stained glass memorial windows, two of which were the gift of Mr. R. Pryor, of Winton, to be placed in the front of the Tamworth Methodist Church. It was also decided to place two Maple Honor Boards in the church, on which the names of the 160 men who heard the call of duty should be inscribed. The memorial windows are now completed, and Mr. W. Couldery, artist, of Sydney is to be congratulated on the excellent results. 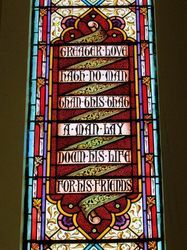 The main window, which is 14 feet x 2 feet 6 inches, has a scroll in the centre, on which are the words, "Greater love hath no man than this that a man lay down his life for his friends," and the inscription at the foot reads, "In grateful remembrance of the gallant soldiers of the Tamworth Methodist Circuit who fell in the great war,1914-1918." The trustees purpose placing a brass tablet underneath the window on which the names of the men who fell. The two smaller windows, 8 feet x 2 feet 6 inches, have been designed in perfect harmony with the larger window, the text on one being "I have fought the good fight," and the inscription, "In memory of Private Walter Pryor, killed in action in France, 8th Feb.,1917. Erected by his loving mother." and on the other, "I have kept the faith," with the inscription "In memory of Lance corporal R. Oliver Pryor, died in England on 10th Nov., 1918. Erected by his loving, mother." 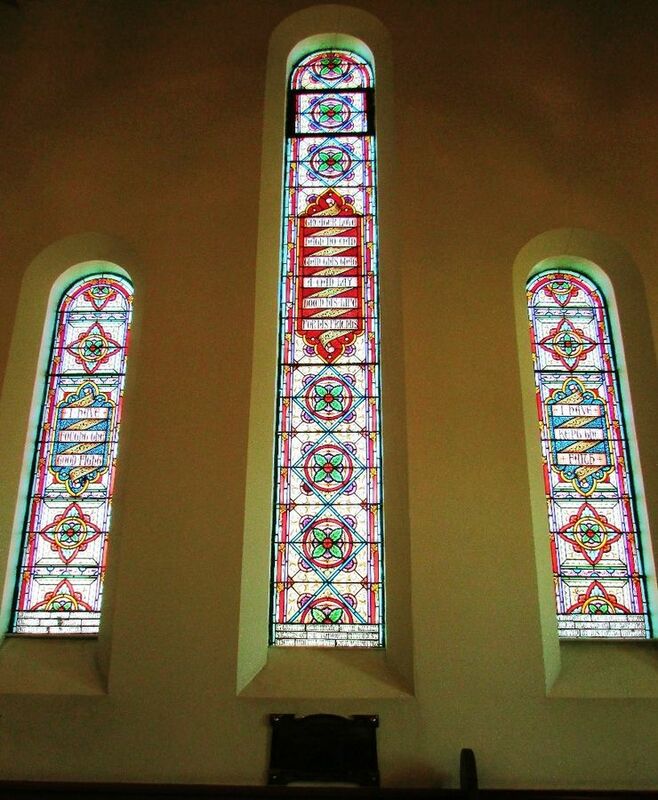 The three windows are a very beautiful and permanent way of perpetuating the memory of the men who "went west" and the Methodists in Tamworth are to be commended on the choice of their form of memorial. The unveiling ceremony will take place in the near future, and it is probable that Chaplain W. Mills Robson, a former minister of the Tamworth Methodist Church, will officiate at this.